A delicate yet sinfully rendition of the famous Italian pastry. I'm not sure what to make of this one. I want to think I can taste the flaky pastry with sweet cream filling but it's mostly just a bit sweet. Not a whole lot of flavor going on yet. Letting it steep to see what it does. Not My First Bottle, Nor My Last! I can't put into words how much I LOVE this eliquid! It's incredibly clean & cloudy, and the flavor is exactly as described. It's not an "in your face" sort of flavor, which I've really come to prefer in terms of my ADV of choice, so I always make sure to have a bottle steeping while I'm working my way to the bottom of the one before! Great dessert flavor. It’s sweet smooth and creamy. Taste like a cannoli. My boyfriend loves it. Will definitely buy again. 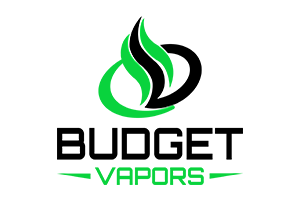 It's hard to find that 1 flavor that keeps you satisfied and wanting more.. Well i found it here...Vinny's Cannoli is my all day vape, the flavor is delicious and non fattening lol.. Thank goodness cause i order 2 at a time!!! I bought this trying to find a cheaper alternative to my favorite juice. At the beginning the flavor is pretty good, but it's followed by a nasty chemical flavor. Won't make this mistake again.